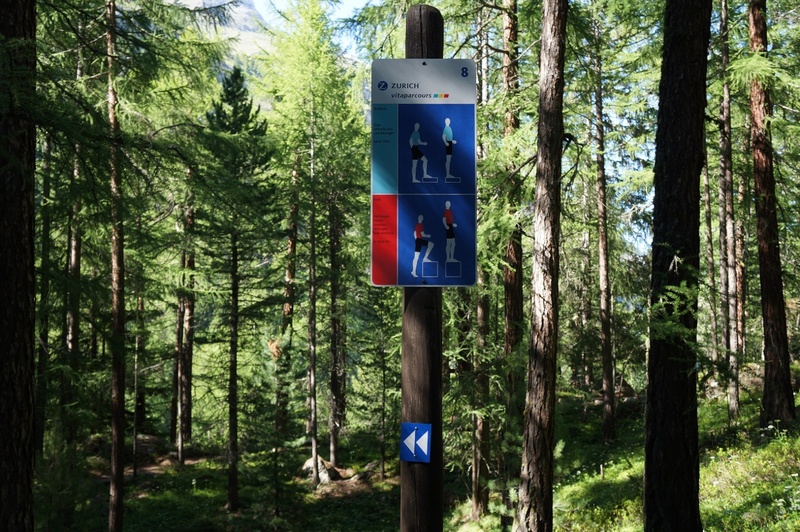 Zermatt’s Vitaparcours: a jogging and fitness circuit at the foot of the Matterhorn. 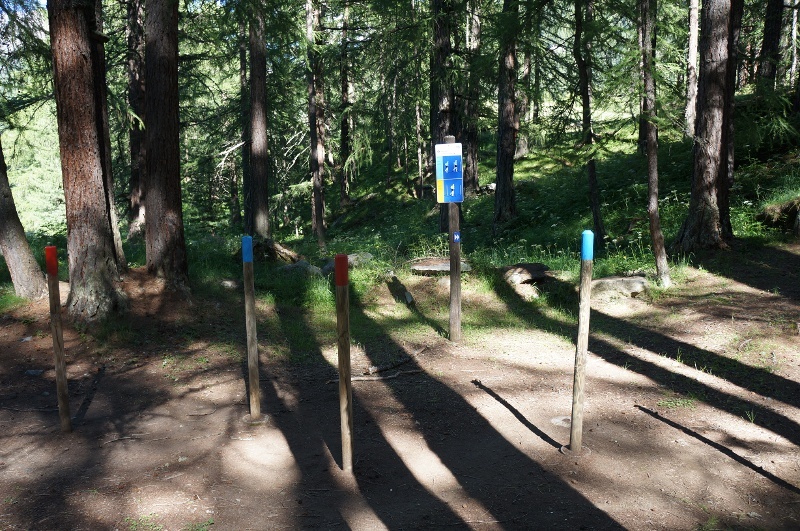 The lush forest between the Zmuttbach river and Furi offers a beautiful setting for exercise. 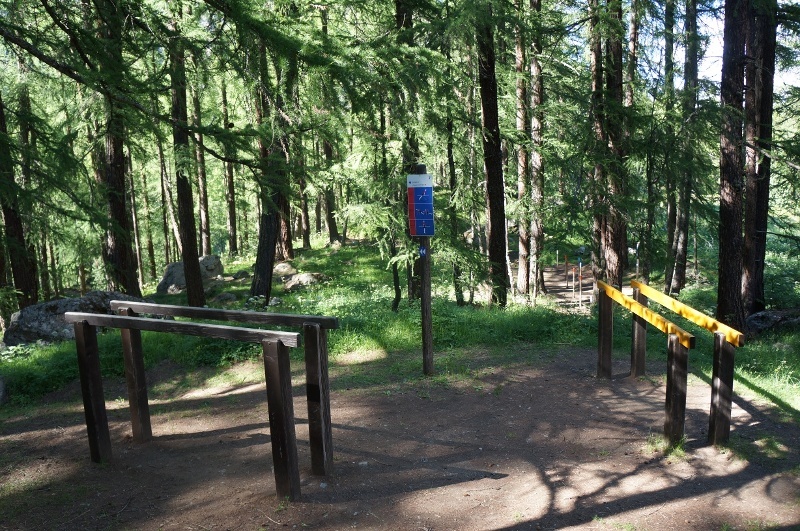 The route is varied, with the fitness stations at the prettiest locations in the mixed mountain woodland. 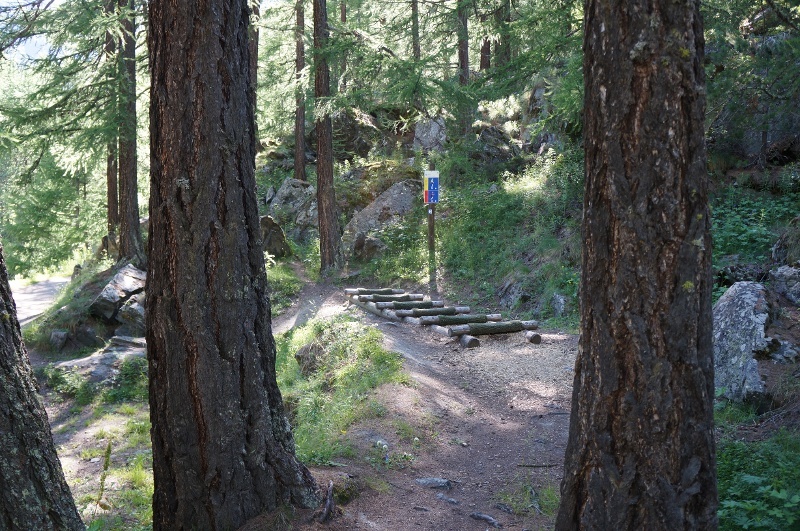 The trail leads over meadows, past crags and over soft carpets of larch needles up to the hamlet of Blatten. Why not make a quick detour to the Ricola Herb Garden at Blatten. Here the air is wonderfully perfumed with fresh herbs.